In January I was walking down a street in South Australia with some Jesus School participants. Our mission for the afternoon was simply to share the love that’s inside us with others, however that might look. There are plenty of people who need an encounter of God’s love so I was praying and asking God who and how I could love in that moment. 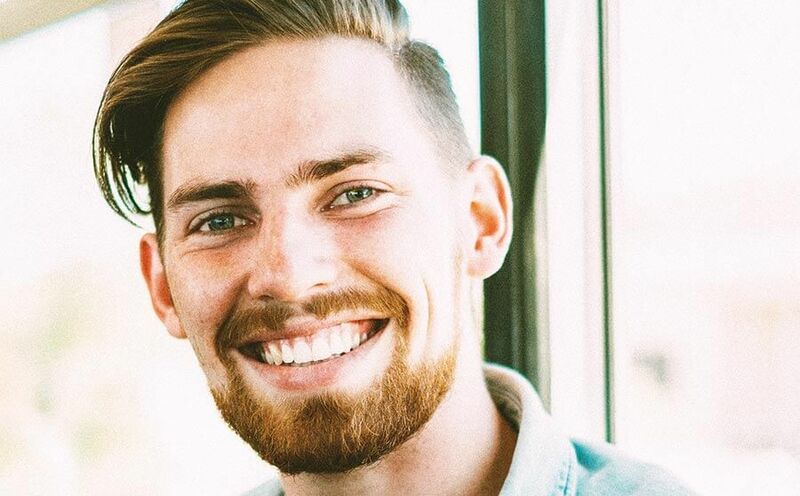 25 year-old Chris joined YFC this year as Internship Coordinator in our Gold Coast region.  Your gifts and prayers support young missionaries like Chris as they share the Gospel with young people and equip others to do the same. Thank you! In response the passenger started exclaiming, “Wow! Thank you so much! That’s so cool!” He had a huge reaction, which seemed disproportionate to the size of the gift. He kept going on saying to the driver that they had to pull over and hug me. So they pulled over and he jumped out of the car and embraced me. “Thank you so much!” He said. By now I realised that this really meant something more to him and I was really curious to discover what it was. As I spoke with the two teenage guys, they shared with me that they had just been trying to collect fifty dollars from a friend who owed them, but the friend had refused to pay. So, feeling upset and discouraged they went for a random drive and that’s when I approached them with the exact amount they had been owed and saying it was from God. From this small moment of seeking to hear God’s voice, and being prepared to look a little foolish, I was able to share and pray with these two young men. They were impacted with the simple message that God knows, God speaks and God cares. I used to agonise over whether I was hearing God’s voice or my own imagination, which often led to inaction. But through scripture, God’s words and heart are not unknown to us. So if it’s in line with God’s heart, revealed through Jesus, I just do it. What is the worst that can happen? In this case I’d be blessing someone with fifty dollars, which is still an embodiment of the love I have in Jesus. Often it’s not until after I step out in obedience that I see the fruit and confirmation that it was God’s voice. I don’t always get it right but as I do this more and more I’m learning to discern the difference between God’s voice and my own. My desire is that my life would embody the Gospel. So the life I live in front of others is the same as who I am when no one is around. Many young people need to know God. They need to know people that know God and they need to see Christianity lived out authentically. My passion is to see them discover and walk in the power of the Gospel. Thank you for your gifts and prayers that allow me to do that through YFC. 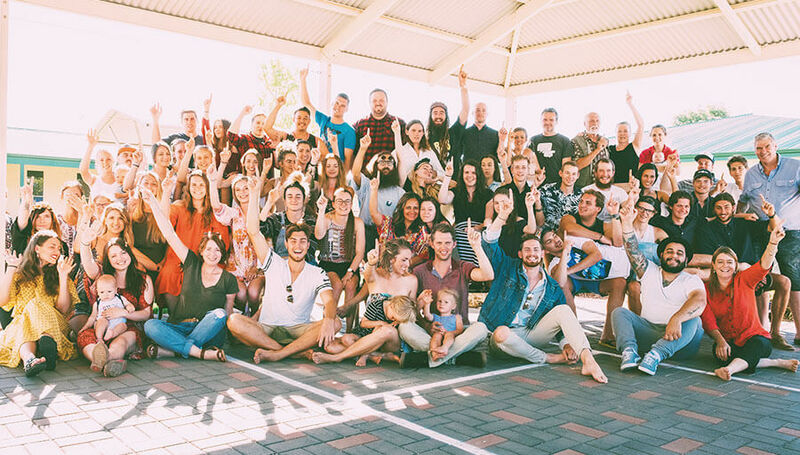 Chris with leaders and participants at the most recent Jesus School in Balaklava, South Australia. Thank you for helping make ministries like these possible. Please join us in praying for the next three schools planned for this year. Arnhem Land in July, Melbourne in October and Brisbane in November.